Many users do not like the use of Linux systems and their vision is complex systems and systems are not suitable for normal use is only that black screen, which can guide the strange commands of the device to be implemented and here I talk about the command line !! No Linux is not this dark picture of course !! But it is a very easy system and a very nice system that makes it easy for you a lot of things in the process of testing the hack and also work on it as a normal user !! It provides you with open source programs which are very great solutions for users as a system and software, and in this opinion it is one of the best systems ever. Well come on now and talk why users think Linux is a difficult and complicated system !! Simply because they are afraid to use it! I remember the first time I used my computer and I was 3 or 4 years old when I saw it as a legend! Windows 98 was a very difficult start in dealing with the system. Why? Because I am the first time I try to deal with it. This is difficult and complicated. I break the barrier of fear and then you will see that the system is very beautiful and has features you never imagined. Now come to use the Linux system in the penetration test and why we recommend learning it if you want to professionalism in this area .. Simply because it provides you with a huge work environment to help you to complete all your work resulting in the hacking test with ease and efficiency because what you said provides a great work environment through the provision of many Of the explanations available automatically such as python / perl interpreter and also many things that enable you to use tools and programming and modify them easily, apart from the support programs and tools dedicated to the hacking test of this system in a formidable. What distribution should I start? .. This question puzzled many who want to start using Linux, all distributions of Linux are almost the same system, whether Ubuntu // Fedora // Debian // CentOs // Redhat, almost all the same characteristics, but to distribute his own building in it and this depends on the other For example Ubuntu is currently better than Fedora and I currently use Ubuntu because I saw it better than Fedora and more stable .. This way adopted Ubuntu you should try all the distributions in order to get the appropriate distribution for you and start using it and install your software and tools and start your advice in World test hack with ease. We come now for a very big problem, which is why I wrote this article, which is the problem of Backtrack distribution. I do not know why this distribution was given much bigger than it is !! Backtrack is a Linux distribution that contains all the tools that the hack lab needs and is larger than the normal distribution size of about 3 times! You can build your own distribution and install your own tools easily and start using them in the world of hacking test easily and without any problems and with all the stability and independence without restricting the black magic called "Backtrack" and your use of this distribution never means that you are a professional in the world of protection and the choice of hack !! In a distribution like any other distribution! The conclusion is that Linux is the best working environment that can help you in the process of hacking and that the distributions are almost all the same. Use them all to get the right solution for you and start using it and adopt it as your platform. Backtrack is not that black magic that has strange spells to break systems. 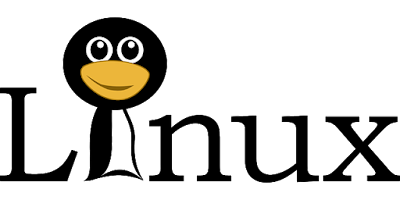 There is an article on Why Linux systems are useful in hack testing | You must know. Do not forget to share your opinion in the comments section and also join us on the social networking sites to stay connected with us. If you want to know more about linux, Terminal Commands, Ethical Hacking in details then comment down and let me know what you want to know..
Is anybody still using Backtrack instead of Kali?